The Public Provident Fund, or PPF, is a very popular tax saving instrument among salaried class as it provides savings on income tax and also guaranteed returns on investments. The Public Provident Fund, or PPF, is a very popular tax saving instrument among salaried class as it provides savings on income tax and also guaranteed returns on investments. 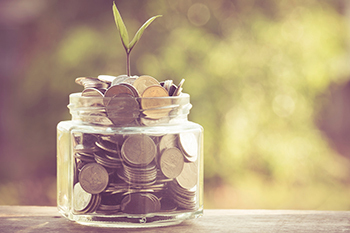 Following are give the points you need to know about the PPF scheme. The return on PPF investment is guaranteed by the government, but it is not fixed. Over the years, the interest rates on PPF have dropped from 12% down to the present 8%. The interest rates, which are benchmarked against the 10-year government bond yield, were previously fixed annually but they are fixed quarterly, so the rates keep fluctuating on a regular basis. PPF provides the highest safety since it is a Government of India scheme and therefore there is no chance of default in repayment of the interest or the principal. The minimum and maximum amount allowed during a financial year for investing in PPF account is Rs 500 and Rs 1.50 lakh, respectively. These limits also apply for a minor child’s account, but with the stipulation that the maximum amount in the child’s and guardian’s accounts combined shall not exceed Rs 1.50 lakh. Investments made in PPF enjoy triple tax exemptions: First, investment is PPF is eligible for deduction under Section 80C of the Income Tax Act. Second, the interest earned on PPF investment is not taxable. Third, no tax is levied on the maturity amount upon withdrawal. These ‘EEE’ (Exempt, Exempt, Exempt) benefits are a big draw for investors.